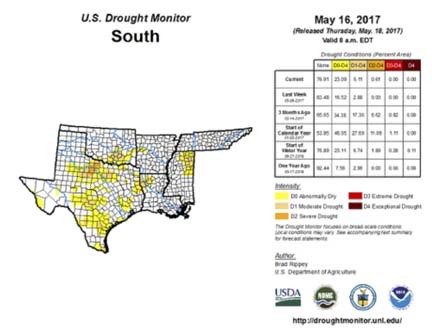 Recent rains in North-Central Texas and Southern Oklahoma have helped things out a bit. In general, no major concerns regarding drought. I thought I would give you all an update on what the summer looks like. 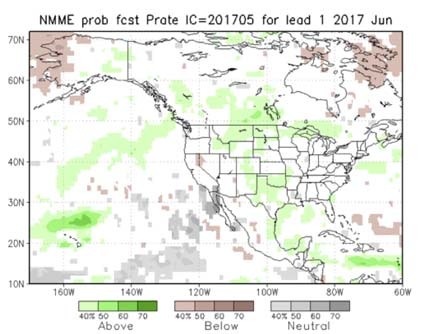 Before we look at any of the usual models, I would like to show you what the Constructed Analogue on Soil Moisture is showing for summer. The top map shows a lot of blue and indicates a likelihood of below average temperatures for a large part of the country. 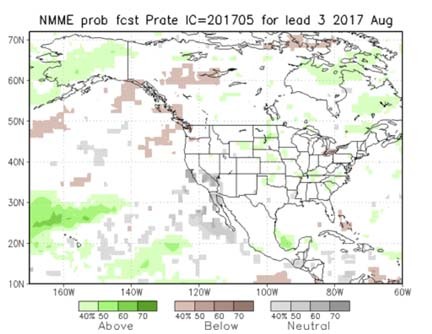 The bottom map shows a lot of green and indicates a likelihood of above average rainfall for a large part of the country. This is for June, July, and August. Is this something you can take to the bank? 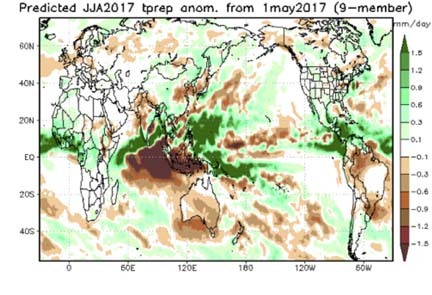 No, but it takes into account the soil moisture that is present and what has happened in the past with similar setups. You put moisture in the ground early in the season and you usually do not have to worry about widespread or extensive drought development. Again, green represents above average rainfall, with brown representing the exact opposite. Gray suggests no tip either way. 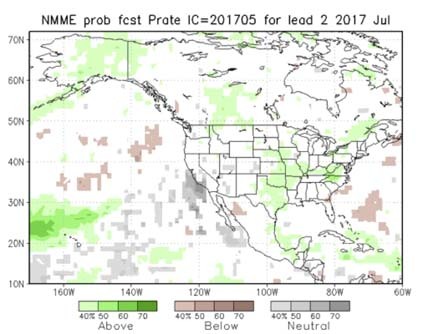 The NMME suggests average to above average rainfall for Texas for most of the summer. This could also be due to some tropical storm development. 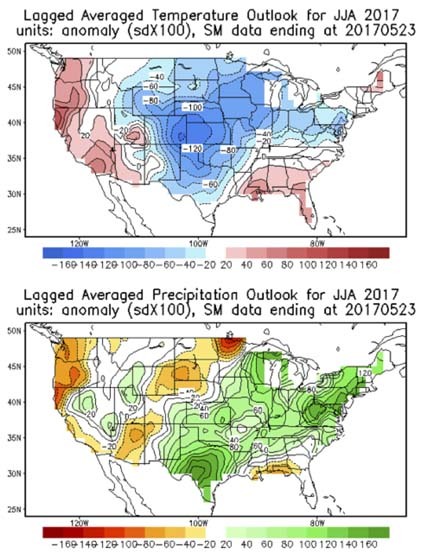 The JAMSTEC model also appears to be on board with average to above average rainfall for Texas. This is especially true for parts of West Texas and Southeast Texas. Given the soil moisture situation, the weather pattern remaining somewhat active and what models are suggesting, I am not worried about moisture going forward. However, we all know what happens in Texas during the summer. The jet stream goes north, a ridge of high pressure builds in and it gets hot and dry. I’m not saying we won’t have bouts of hot and dry weather, I am merely suggesting that they won’t be as intense or as long lasting as usual. Which I think would be just fine with most folks.